Once a month, we publicly discuss the impact of digitisation on society at Digitaler Salon. We invite special guests, engage in a dialogue with the audience and the Twitter community and broadcast it on YouTube. The subject of the #DigSal in May is Pitchfork 4.0. We ask about agricultural drones, automated farms and smart breeding. 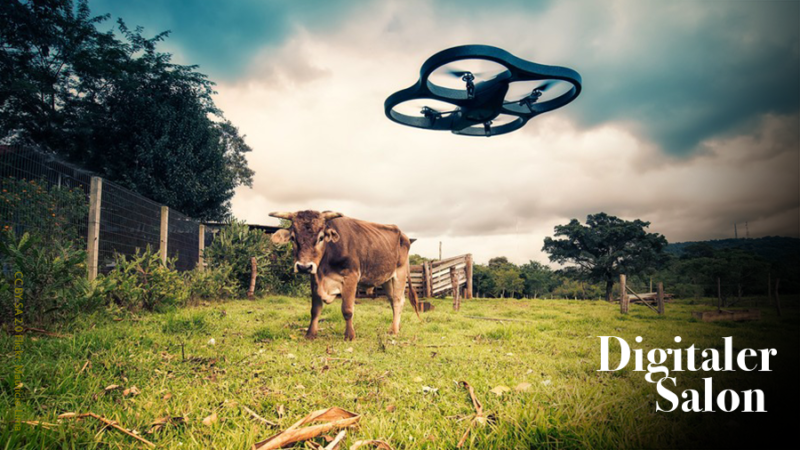 How can digitisation make food production more sustainable for both humans and animals? A fuss about nothing or a second green revolution? Below you will find more detailed information in German.